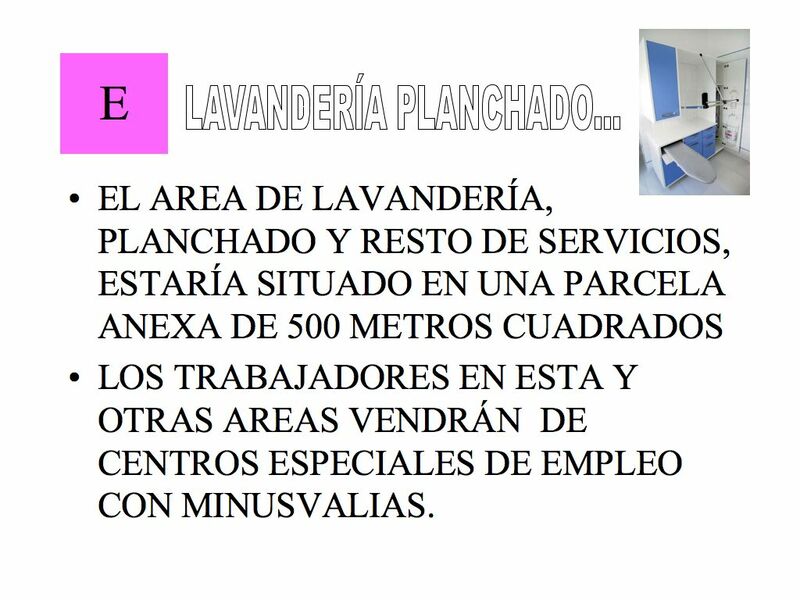 The graduation between the different buildings or areas depending on the GDS is obtained by means of common zones or private spaces that can be converted in public areas, like the sun-lounges. The same idea is behind the paths within the agri-therapy with landscapes made adequate to every GDS degree. These are areas of recreation that connect the different slopes within VILLAFAL and those that occupy the landscape. Looking for the orientation towards the south, a field appears composed of solar panels on the sloping roofs of VILLAFAL. They provide the energy to heat the water for the swimming pools and each one of the rooms during the cold winter months. Everyday events, like when the baker arrives, will be incorporated in the project for VILLAFAL, as things that happen in Trébago. Constant rhythms of things will be introduced and create costumes originated from the village. Associating a sound with an event can have a therapeutic value for the patients, in this case a blow of the horn of the baker that calls us daily for fresh bread. 1. The sun-lounges, like the common halls, should be orientated towards the south. 2. The density of construction must be gradual and go hand in hand with the development of the GDS-levels. 3. To employ the village, the bell tower and the tower as elements of reference. To achieve that, a shaping of a series of radial paths provides a sense of orientation. 4. To reinforce the existing Cañada Real to the south as an element of connection, “planning it” with black-poplar trees. 5. To open a new street to the east of the site, drawn as well with black-poplar trees. 6. Building the access around the Camino de Fuentestrun. The topology must be respected although hollowing in the existing gap in the site for the location of a car park for the personnel and the visitors, as well as an area for storage and installations. 7. Establish connections with the municipal garden south of the site. 8. The green areas follow an inverse graduation against the density of the building construction. 9. 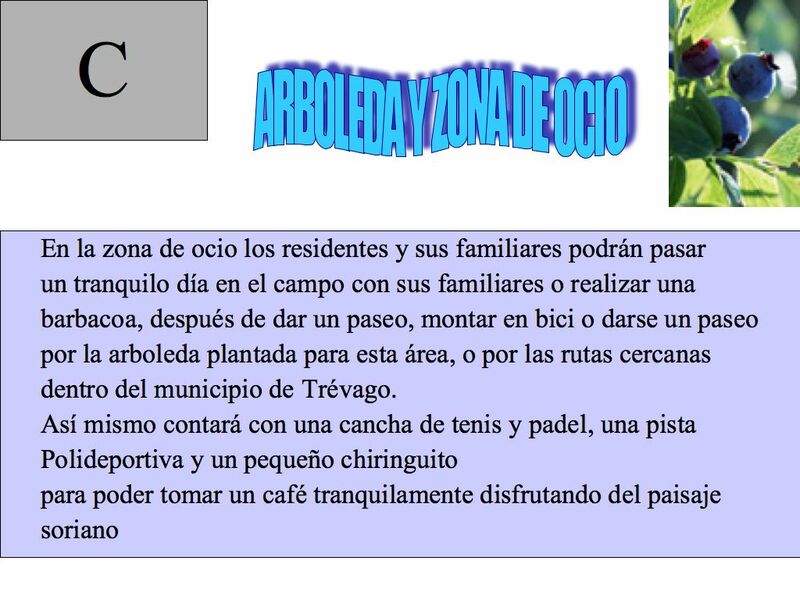 Interconnect with the morphology of the village. 10. Respect the views towards the landscape. 11. View towards the Polar Star from the bedrooms. 12. 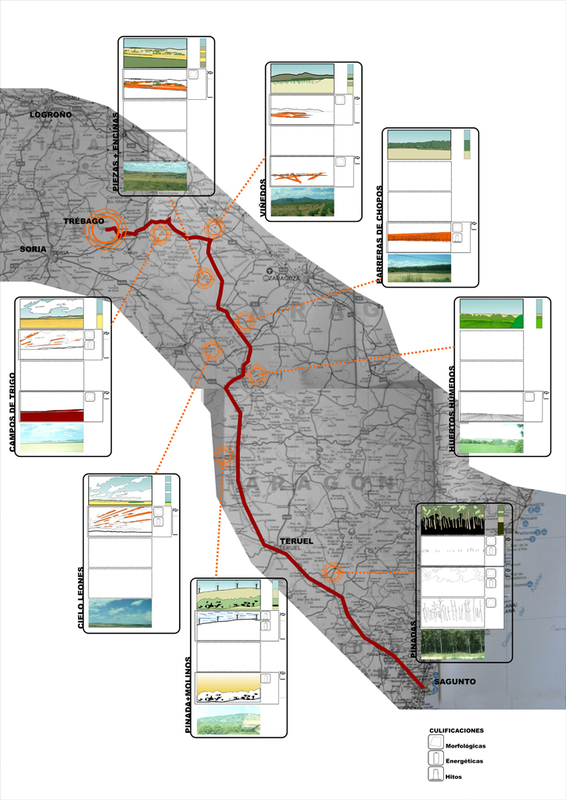 Horizontal layers of events take place on the site: Walks/Activities. Pergolas with colourful flowers cover them all and thus, provide a chromatic graduation as an element of reference. 13. Crossing paths to connect with the town. 14. To have a vantage-point located to the north where the whole site can be contemplated and understood. 15. To build the car park building in zigzag towards the north of the site. 16. It would be ideal to have flourishing plants as an element of identification for the dwellings. 17. The site is the point of departure leading to a small sanctuary where urban furniture are done for the path. 18. To build a new Bridge-vantagepoint over the Manzano River. 19. Typology for the dwellings: with crossed ventilation. 20. 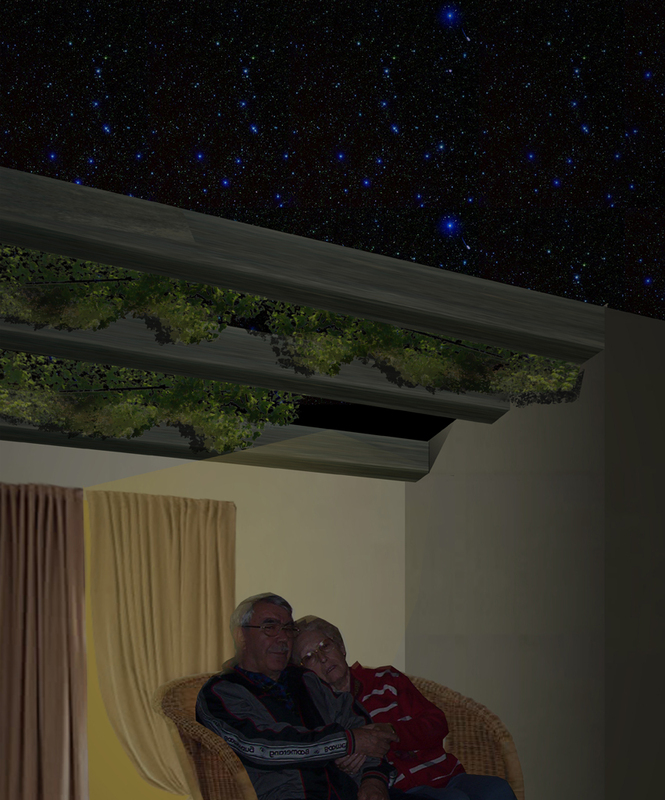 To establish a net of pergolas between the dwellings as a connecting element. 21. To build the residence in two levels supported by the existing topography. This typology would also be used in distinguishing the different GDS degrees of the patients. 22. To create topography of roofs of solar panels orientated towards south. 23. To build the workshops with a telescopic structure, different from the housing, in order to make them visible in the site and become a landmark. 24. To create areas of wandering at the northern upper end of the strips of activities. 25. Strips of activities cease at some point according to the degree of GDS. 26. 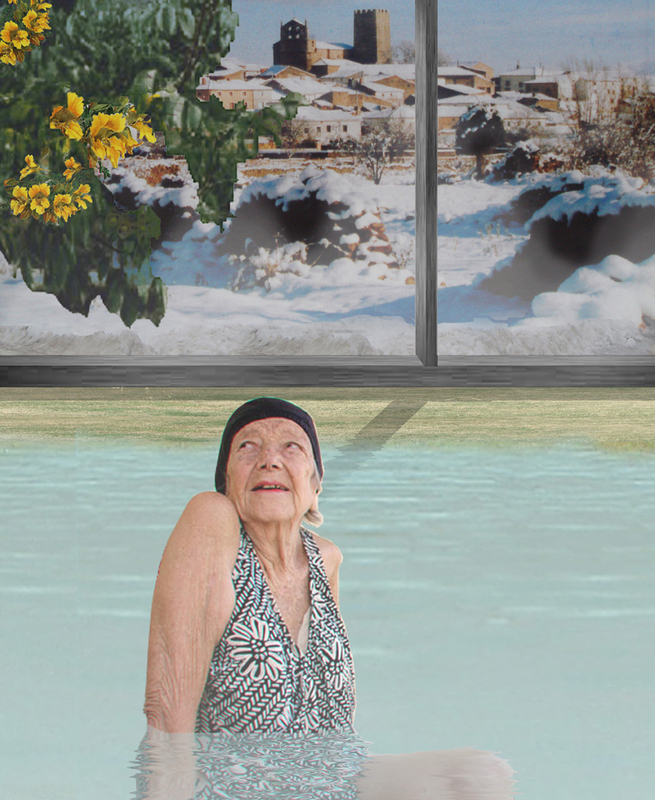 Situating the swimming pool to the southwest and in that way to recreate an atmosphere of a reservoir. 27. To limit the height of the dwellings to one level. 28. To use the height of the plants (3 m) as an element of connection between the buildings. 29. The limit to the east of the site is drawn by fields of wheat that open up towards the horizon. 30. To use a heating system in the winter drawn from the idea of greenhouses. 31. Water circuit (swimming pool, recycling, watering and storing water). 32. As it is likely that the swimming pool will be open to the public, one has to consider making different entrances to it. 33. 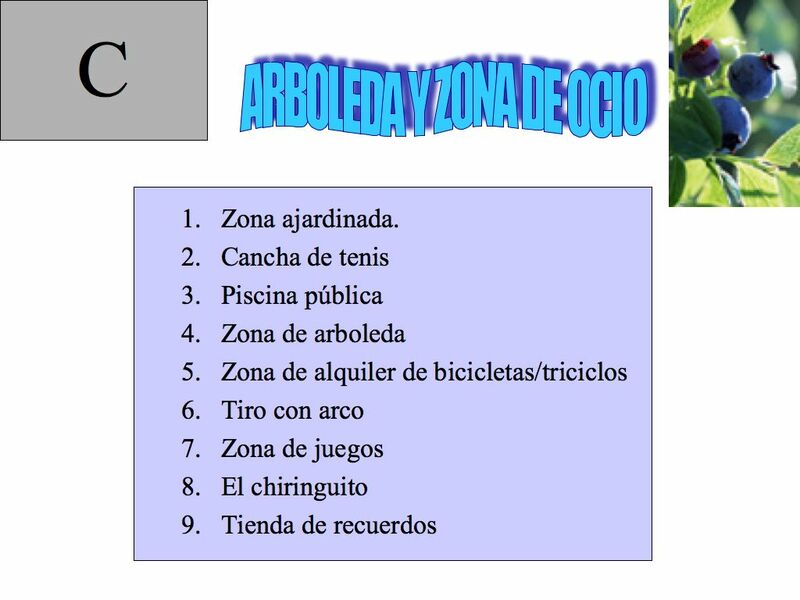 The sports and play area lay at the south end of the site and are linked to the black-poplar grove at the Cañada Real. 34. Locating the horses’ stables in the garden to the south and to create a park for children. 35. Locating the visitors’ residence and administration at the access zone to the north, the highest area on the site. 36. Personalising the sun-lounges according to the visitors. 37. Creating gaps in-between, between habitable spaces, which allow plants to enter the interior. It is considered to be important always to have a direct view towards them. 38. Pattern that allows growing the number of dwellings. Future units are foreseen but equally to what happens after demolishing ruins in Trébago, gardens will be planted in the meantime in the future sites that are in preparation. From Garrucha, following the road of Carboneras, we went to Aguamarga, a little village located in a wonderful place at the roots of a small cliff. 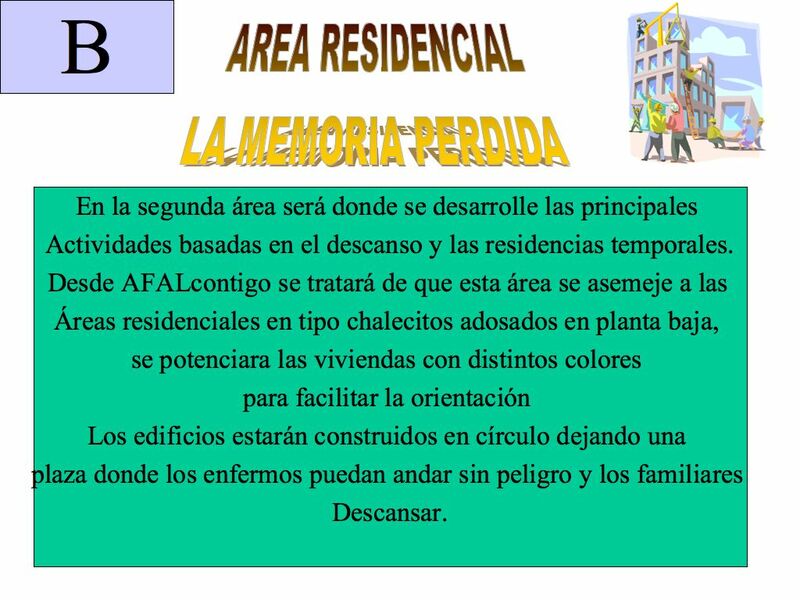 The reason for the visit was to get familiar with qualities that could help us in defining the concept that we denominated “Alzheimer urban planning”, a planning of small everyday elements that together create an atmosphere that all of us seem to known very well. Aguamarga is an extraordinary place and offers a relaxing visit. It is as if we already know the place, as we had already been there and it so easy to orientate oneself. The streets are directed towards a central square that really is drawn on the pavement by a continuous bench. Sitting on this bench one can observe and communicate with entire families, couples en love, children with computer games, and passing tourists. We were much impressed by the black-poplar trees, which appeared as true architectonic elements that “planned” the paths for the fields and knitted the village with the landscape. 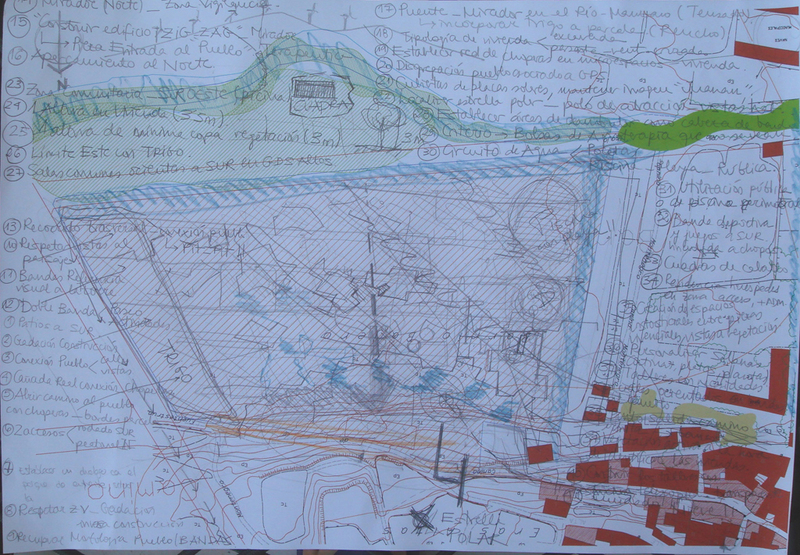 The drawing shows the search for weaving the site together with the municipal playground to the south, at the other side of the Cañada Real. Moreover, to establish a dialogue with nearby nature so as to enrich the project, and practising it in between the black-poplar trees without making a sharp physical border with the exterior. 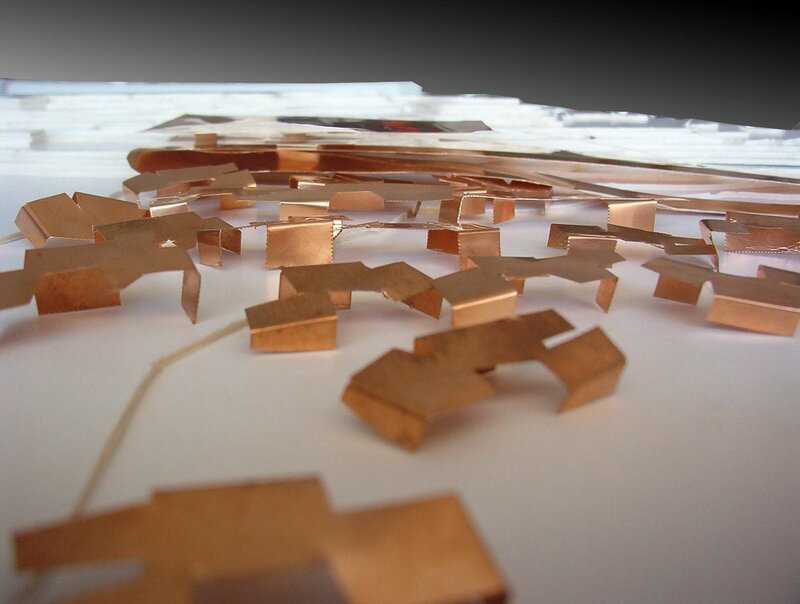 The aim is also to create architecture from within the small things, where each element is identified by its function, one is able to distinguish it from afar and connect each element with a determined function. Consequently, elements emerge that call to be used and are easy to reach in the complex. They are all, as small as they can be, equally important: the sun-lounges as the bicycle stands, the benches to the pergolas, the windows with a view towards the stars, as well as the new bridge-vantagepoint. They are spaces, which emerge as part of the architecture and that are destined to host therapies and connecting spaces. 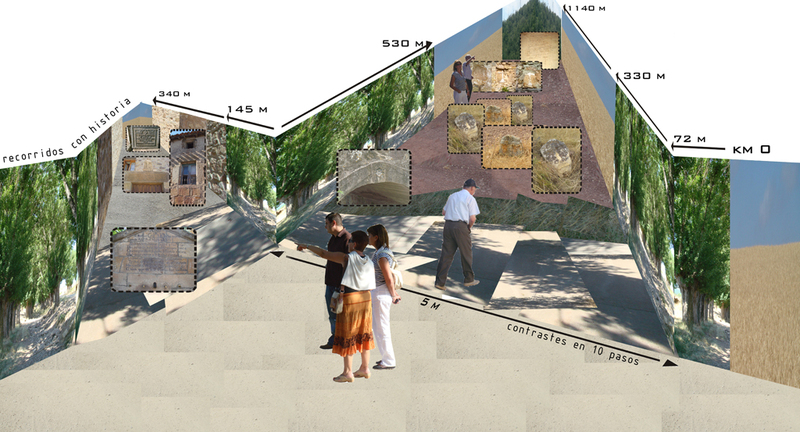 The photomontage is a reaction to an agri-therapy destined for the GDS level 6, a mixture between a small village square and the access entrance to the residence. The patients take care of these plants: watering them, touching and looking at them… encouraging a sensual stimulation. Furthermore, from the residence’s dining hall for patients with a high level of GDS, the guests enjoy the landscape of fields of wheat, scattered windmills and an oak forest in the background. 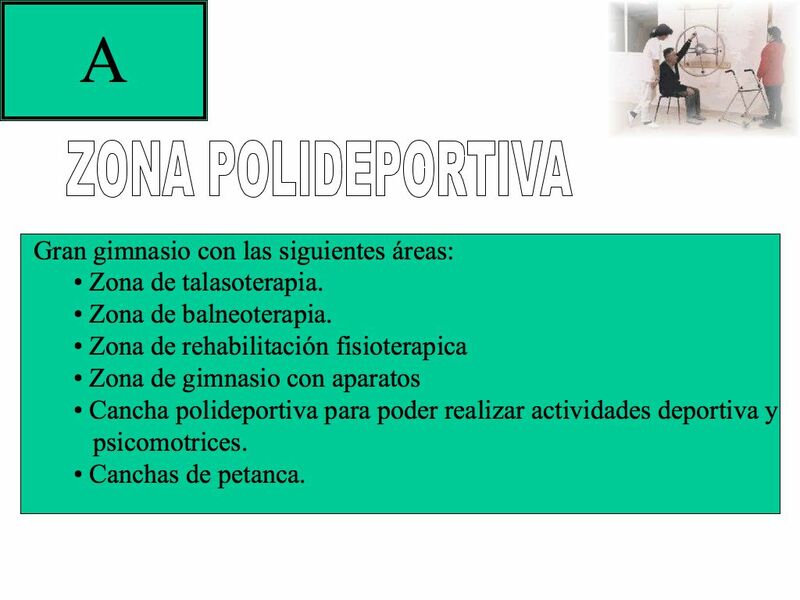 The different therapies, like the housing, try to adapt gradually to the GDS degree of each patient. This is interpreted in a variation that starts from the field of wheat to a fully regulated greenhouse-garden. 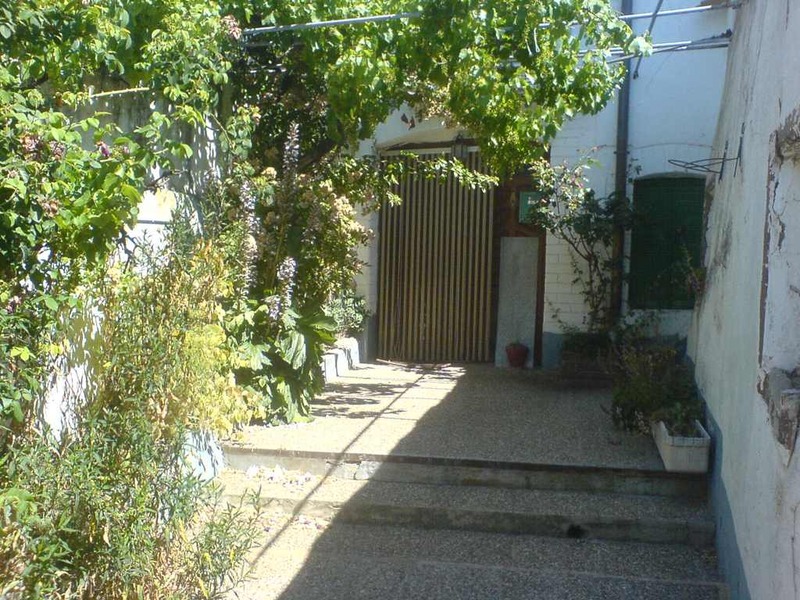 Between these two points appear mixed spaces like cultivated gardens, orchards, etc. where the closed and open spaces are graduated. The architecture of VILLAFAL must respond to the evolution of the disease accompanying the patient through the different levels of GDS. This is what we denominate “gradual architecture”. The guests are expected to dwell temporarily at VILLAFAL, and connect their stay, that normally does not exceed fifteen days, with going out to rural areas denominated as Spaces of Life. Within this context one can assume that the patient will return on various occasions although the disease would have evolved. Having this in mind, the type of a room must not be too severe for the patient. VILLAFAL is joint complex where one can distinguish as many areas as there are of GDS degrees. 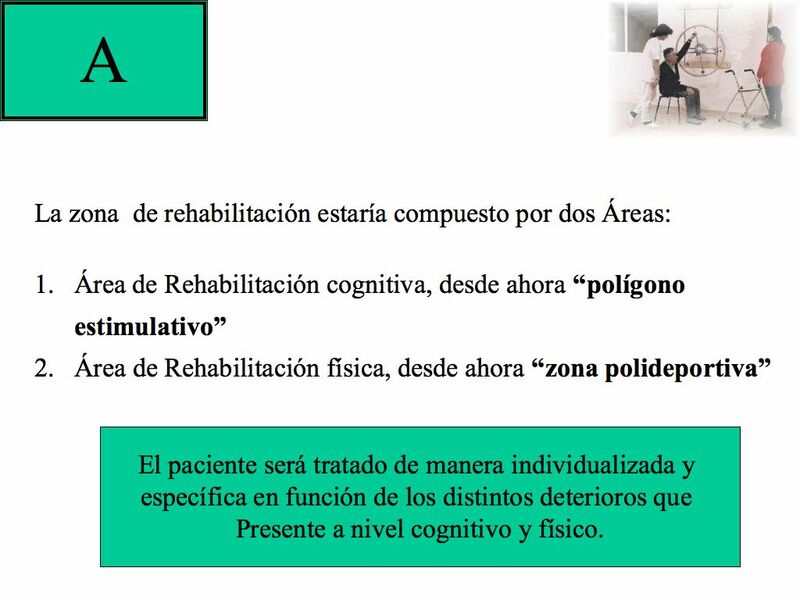 The architecture follows this classification of the illness, evolving in its built form, from a GDS area 3 where the patient can still make a self-evaluation to GDS area 7 where the patient is permanently taken care of by a specialist 24-hours a day. Despite the different kinds of architecture that are created based on one specific use, the essence is the same. All areas offer workshops, the only thing that changes is the way each group of GDS use the rooms. Thus, the architecture evolves at same speed as the patient, that is to say, gradually. As the GDS degree rises, the density increases within the Alzheimer architecture. It is a question of making a section of VILLAFAL based on the activities that can occur there and go hand in hand with the evolution of the disease. This is what we call Alzheimer architecture. 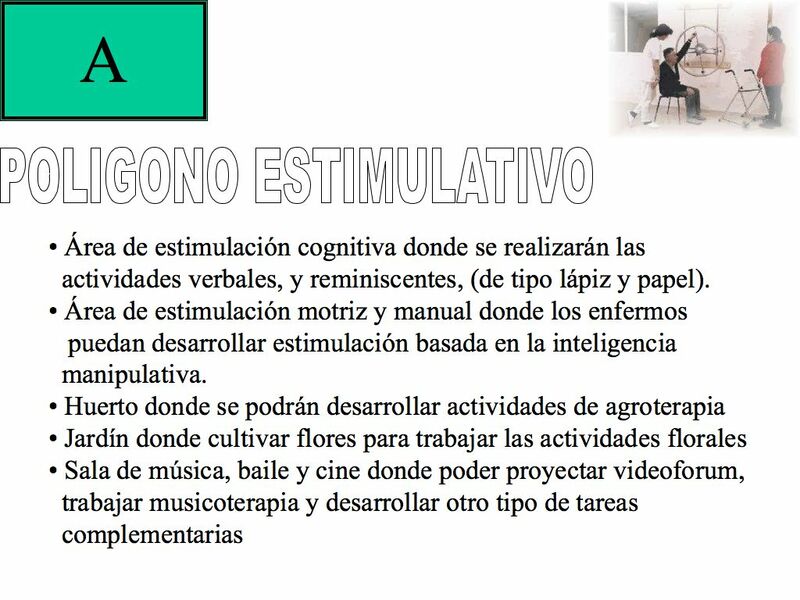 At the same time, we look for the evolutionary patron of the activities throughout the GDS degrees, which also follows a gradual patron that is adjustable to the uses depending on the degree of the disease. 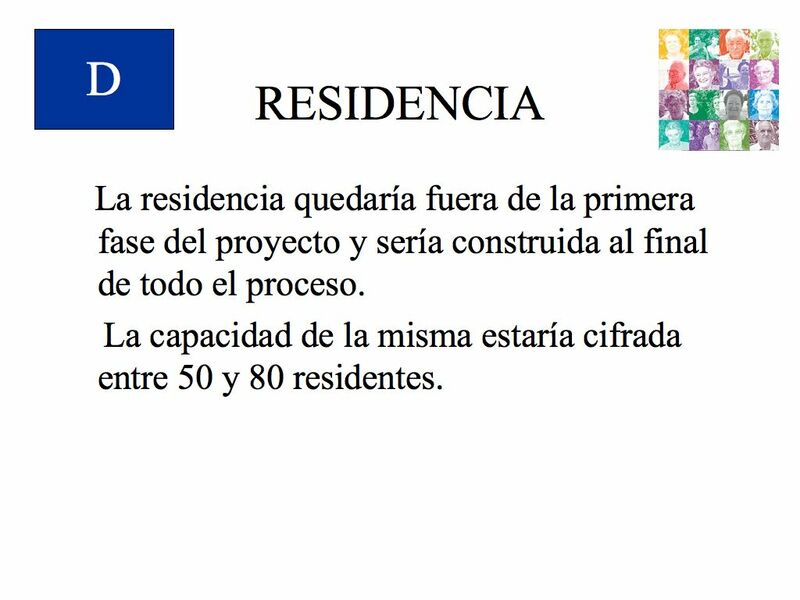 It is of priority, before initiating the design process, to define and catalogue what is a GDS dwelling. 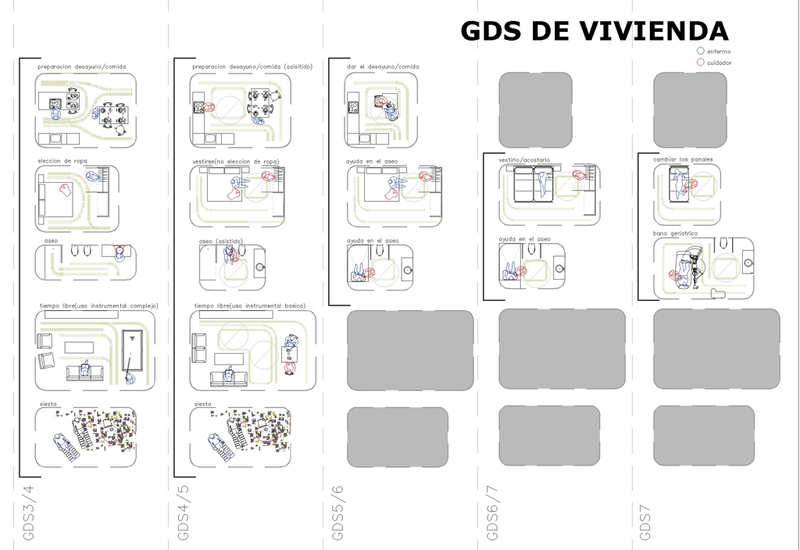 A way to do this is with a card or a practical guide to a typology of a dwelling according to the necessity of each GDS. The information of these cards is also valuable for any couple as a guide how to adapt to the same house. This kind of classification reflects a development between the architecture and the patient, not to understand the first as a static element but evolving gradually and accompanying the life of the patient. To go for a walk without knowing where it leads to can make us enjoy what is around us. The traces of light indicating a path or tree trunks becoming a reference can provide new sensations to the one who is wandering. It could be understood as agri-therapy for patients with a high GDS-level. The aim is to create a new landscape: a therapy-landscape. 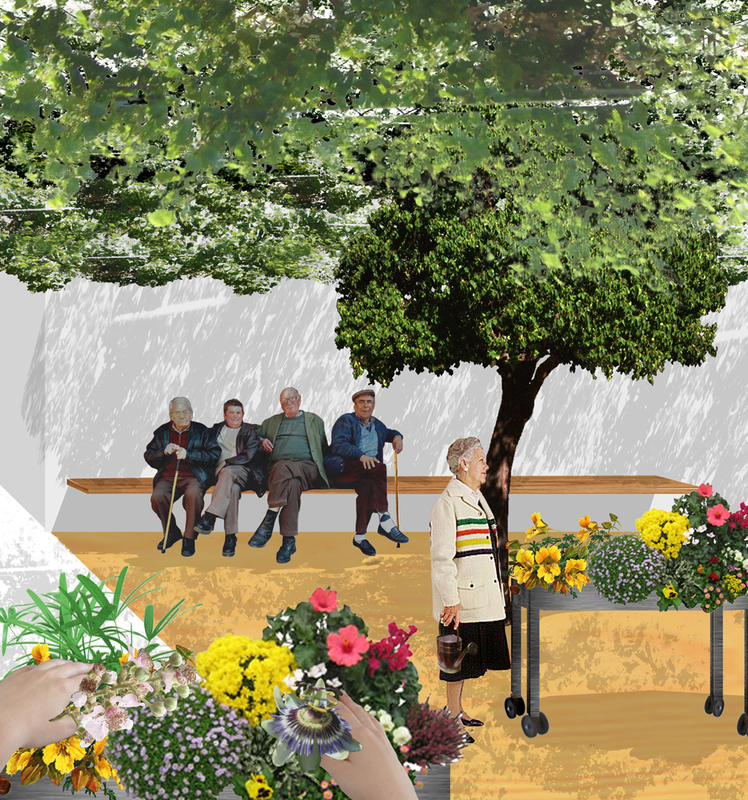 That is, to create architecture of landscape of different activities that take place in the village, remembering some lost ones as well as proposing new therapy-landscape that defines a programme of activities. 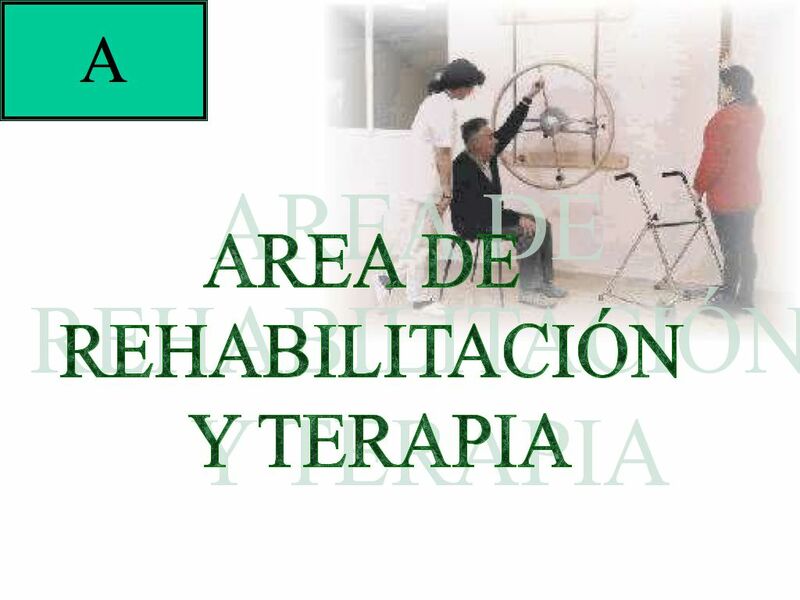 Back in Garrucha (Almería), where we had established the platform of working, we received visits by Manuel Nevado and Luís Redondo, psychologist and a social worker from AFAL, respectively. They gave lectures about the Association, the disease, the “spaces of life” and about the programme for VILLAFAL. 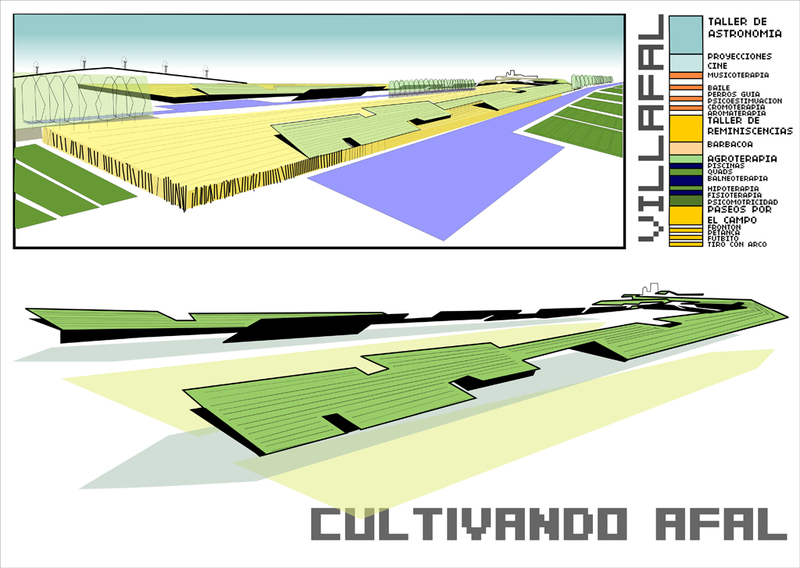 The purpose of the drawing is to define the limits between the built and grown found in Trébago. It would serve to point out the activities that can be done and to establish a continuation between them in the same way as we go around the village from the bench by the green door to the hostel. In that way the different levels are defined between the material and the artificial and how the visitor and the local people perceive them. 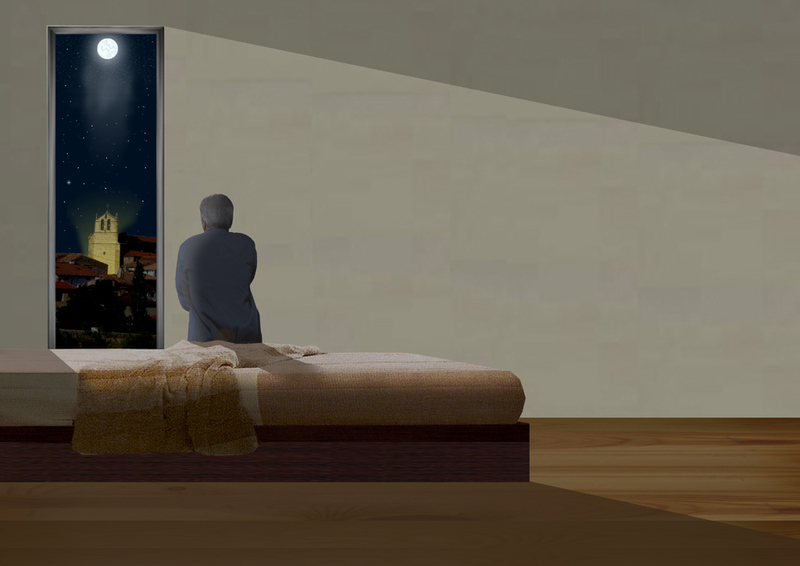 Reflecting on how a day passes in a village house through its section, one can narrate it through the architecture and the life of the village inhabitants, and to value how they use the different spaces of the dwelling by means of everyday actions: the solarium that serves to establish a relationship with the rest of the street, passing through the bedroom to observe the stars and end in the couryard in the back where one grills the fresh meat. The sun lounges are characteristics of the village. They emerge from the connection to the roads as semi-private accesses to the dwellings with a precise orientation, towards south, to protect oneself from the coldness and capture maximum of the sun. 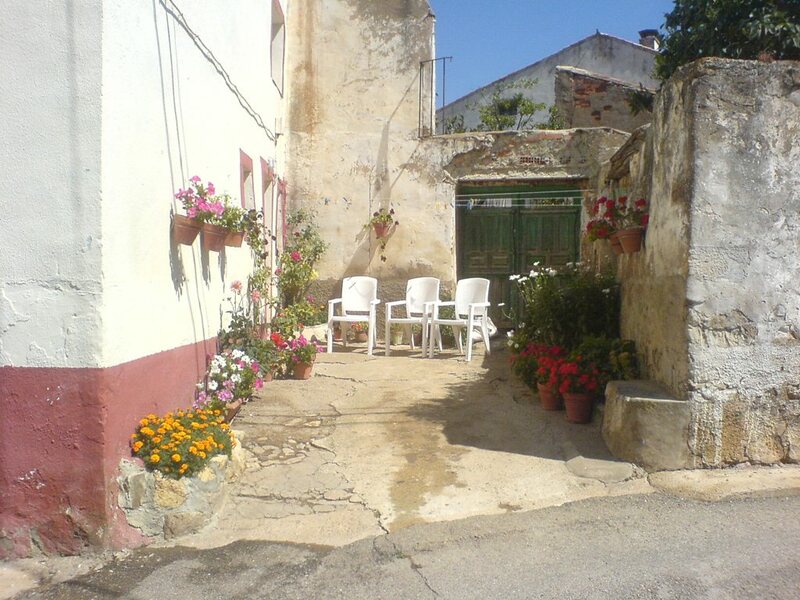 These sun lounges are spaces of relationships, to sit down in the freshness, to chat with the village people and the visitors, to read a book, to have a refreshing drink, to look at the stars, but above all, to take the house to the street and to appropriate that space. 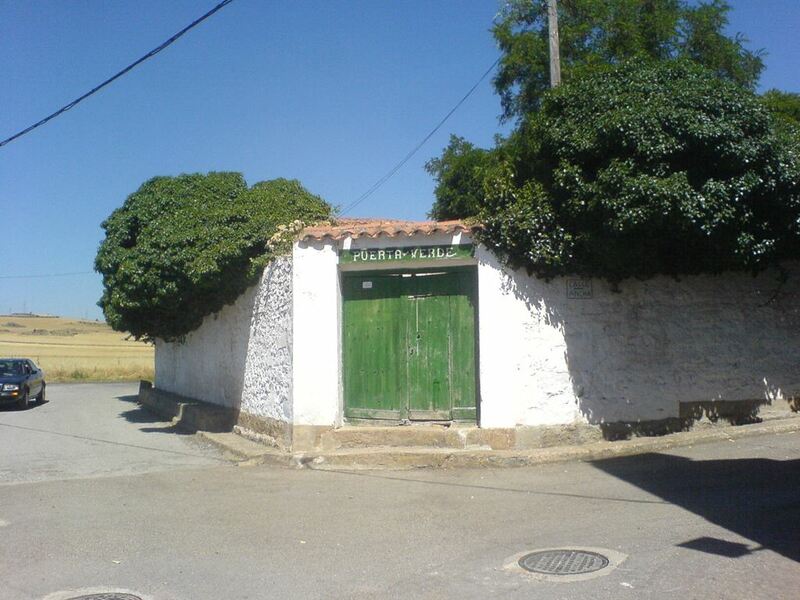 It is a way to make oneself the owner of the entrance to the house, which forms part of the village in a true manner. The paths around the ways of memory are the representations of the most important elements because they keep a direct relationship with the memory of Trébago. These elements, understood within their context, give a pretext to two ways, which start from our site. Observing two very different kinds of nature environments: a line of black-poplar grove and the fields of wheat, which extend with the village in the background. Perceiving the place, like we would close our eyes and open them again, encourages us to keep that moment in our memory: the sloping roofs and natural gaps that emerge when demolishing the dwellings already in ruin. 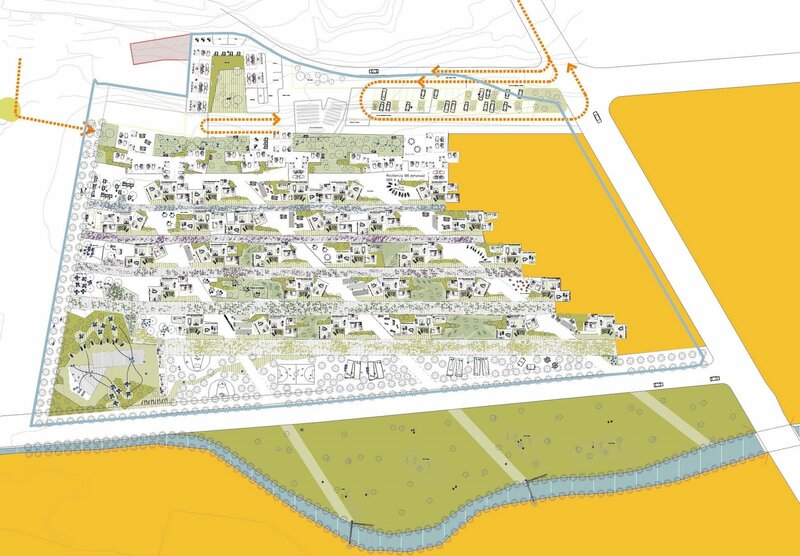 The idea is to create a plan based on collective memory, equally for those originating from the place as for the visitors, reflecting the evolution of the village and detaching itself from the topography. Two visions from the same place, from the interior and from the exterior, show how the gaze changes depending on the position from where one looks. The view from inside Trébago is very tied to the landscape. Turning at every bend in the road, irregular and different in heights, one comes across a field of wheat. From inside the town, one is not conscious of its outline. From the outside, however, it is completely the opposite. As one leaves the village gradually, it starts being converted into landscape, a mountain composes of roofs shaping a new postcard of the environment. Trébago’s memory is recovered by means of activities, such as taking the virgin to the chapel and dancing by her side, to play the game of the stones (“el juego de la pita”) only played by women, to walk in the black-poplar grove. The idea is to wake up traditions from somewhere that always had been there: the landscape. The aim is to mould the village with its paths. That is, to come to recognise it within the maze of streets that it consists of. To record it from the borders, recreating the most characterised paths and moulding the village by means of a net of recognisable paths that carry with them single elements like the fountain, black-poplar grove, the pond, the drains… The road of the black-poplar grove guides us to a pool along a path where one perceives how it gradually dissolves into the landscape. The work consists of generating, in essence, a green path by the limits of the village allowing us to recognise it from a certain distance. VILLAFAL is activated as soon as the patient starts the journey leaving home. This is the point of departure from which the process of the project is instigated. At the same time, the journey is understood as beneficial and that Trébago is a network centre of therapy-walks. 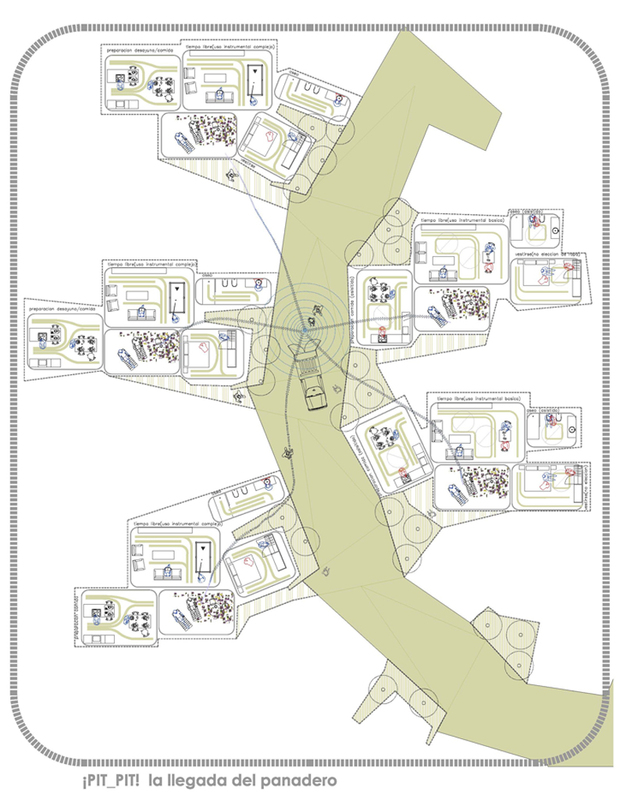 Different landscapes - classifying them, marking them and codifying, is a subject that offers VILLAFAL an extra municipal character, extending access routes, forming a travelling guide, marking spaces of rest, all adequate for the patients.